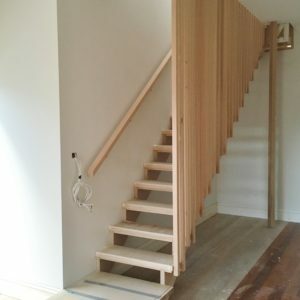 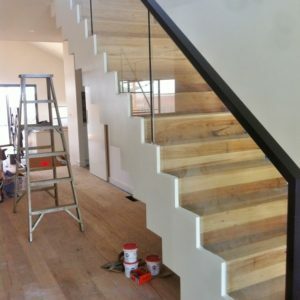 Closed cut-stringer staircase, in select-grade Bluckbutt. 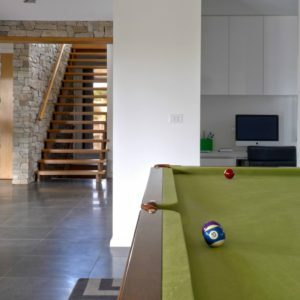 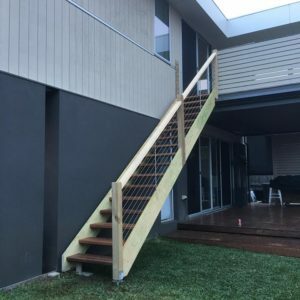 Includes a 60mm round handrail. 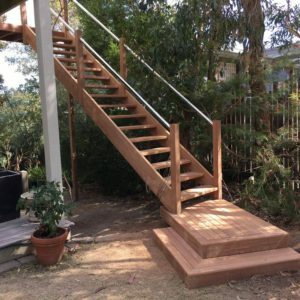 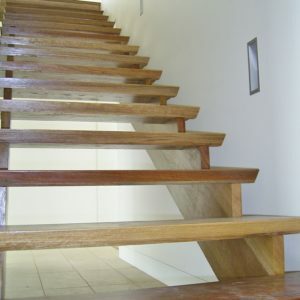 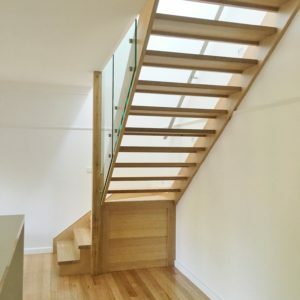 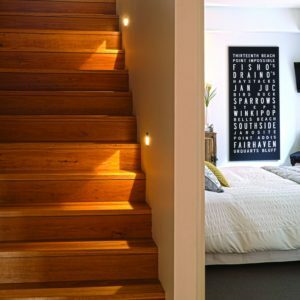 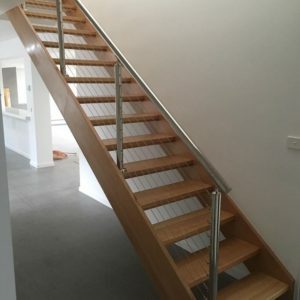 Open cut-stringer staircase, in select-grade Blackbutt. 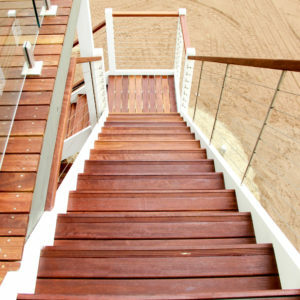 Includes 60mm round handrail.